Twitter Is Removing Millions Of Fake Followers From Users' Lists The platform will take tens of millions of locked accounts off follower lists in an attempt to crack down on fraud. Twitter says users may see a drop in their followers as it begins removing suspicious accounts it has locked. 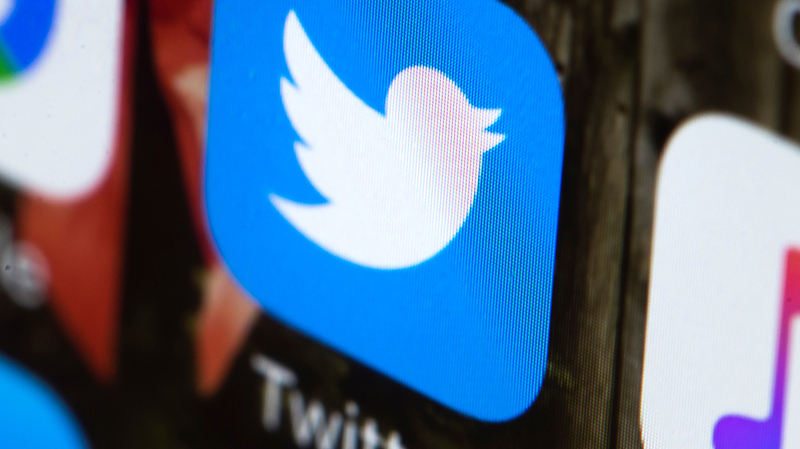 "Most people will see a change of four followers or fewer; others with larger follower counts will experience a more significant drop," wrote Twitter's legal, policy and trust and safety lead Vijaya Gadde in a corporate blog post. "We understand this may be hard for some, but we believe accuracy and transparency make Twitter a more trusted service for public conversation." In May of this year Twitter announced that it was locking almost 10 million suspicious accounts per week and removing many for anti-spam policies. "Due to technology and process improvements during the past year, we are now removing 214% more accounts for violating our spam policies on a year-on-year basis," Twitter said in a company blog post. Twitter has come under criticism for allowing hate speech and has also been used as a tool for Russian influence. NPR's Tim Mak and Libby Berry reported that Russia's "information attack against the United States" during the 2016 campaign included Russians posing as American social media users and creating fake Twitter accounts that purported to be local newspapers. "NPR has reviewed information connected with the investigation and found 48 such accounts. They have names such as @ElPasoTopNews, @MilwaukeeVoice, @CamdenCityNews and @Seattle_Post.
" 'A not-insignificant amount of those had some sort of variation on what appeared to be a homegrown local news site,' said Bret Schafer, a social media analyst for the Alliance for Securing Democracy, which tracks Russian influence operations and first noticed this trend. "Another example: The Internet Research Agency created an account that looks like it is the Chicago Daily News. That newspaper shuttered in 1978." Mak reports these fake Twitter accounts distributed genuine news, building trust with readers, possibly for "some future, unforeseen effort." "Another twist: These accounts apparently never spread misinformation. In fact, they posted real local news, serving as sleeper accounts building trust and readership for some future, unforeseen effort.
" 'They set them up for a reason. And if at any given moment, they wanted to operationalize this network of what seemed to be local American news handles, they can significantly influence the narrative on a breaking news story,' Schafer told NPR. 'But now instead of just showing up online and flooding it with news sites, they have these accounts with two years of credible history.' "
Mak reports Twitter suspended these fake accounts, which were created in Russia. Twitter says its continued crackdown on fraudulent accounts will not impact its total number of users. CFO Ned Segal said in a tweet that "most accounts we remove are not included in our reported metrics as they have not been active on the platform for 30 days or more, or we catch them at sign up and they are never counted." Earlier this week a Washington Post report that Twitter had suspended 70 million users in May and June caused the social media platform's stock price to fall about 9 percent. Thursday, Twitter's stock price remained stable, and some advertisers have praised Twitter for its decision. In a statement, Unilever's chief marketing officer, Keith Weed, said, "Our digital ecosystem is being polluted by a growing number of fake user accounts, so Twitter's commitment to cleaning up the digital space should be welcomed wholeheartedly by everyone, from users of the platforms, to creators and advertisers. People having an artificially-inflated follower count made up of bots and redundant accounts is at best deceiving and at worst, fraud. It serves no one and undermines trust in the entire system." "Greater transparency leads to greater authenticity, which in turn builds trust," Weed continued. "This is a big step for the industry and I hope others will follow suit."